Our new Touch-style model “Metal” not only looks the part but sounds the part! Our new hand-wound custom pickups are designed to DRIVE your sound with over-drive and sustain rivaling the best that thrash/metal has to offer! You have the choice of a hard-magnet pickup design for the most thrash over-drive tone or an eleven adjustable pole-piece soft magnet design to add that thicker over-drive tone. 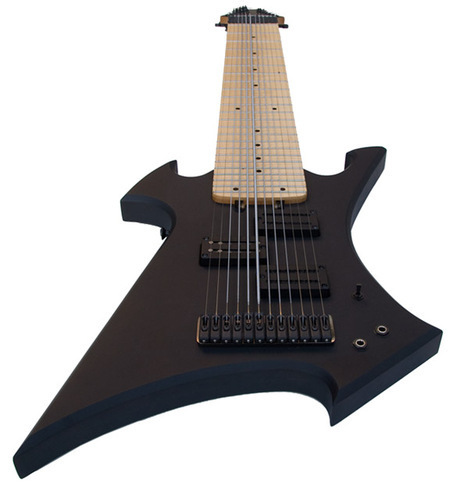 We can design your Warr “Metal” with many tuning combinations! Pick your color! Most colors are included at no extra charge. 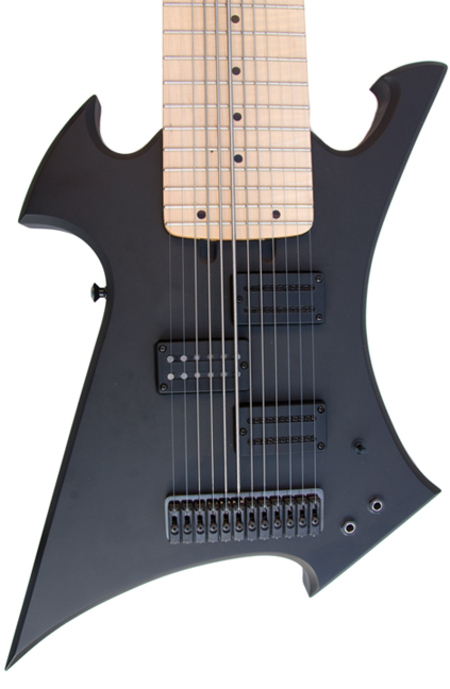 Close up of Colin Marston's Warr "Metal" with a hard-magnet pickup design on the bass side and the eleven adjustable pole-piece soft magnet pickup design on the melody. 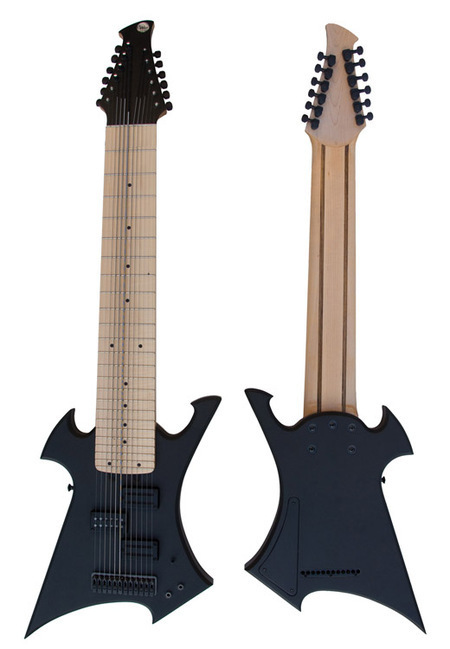 Order your Warr Guitar "WarrMETAL" Today!